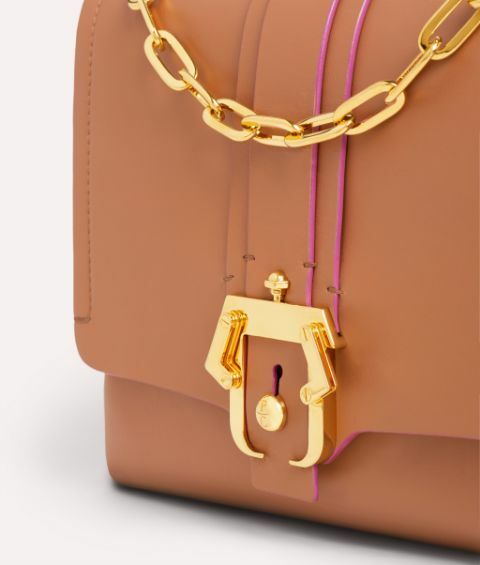 Timelessly elegant yet inimitably cool, this refined Alice shoulder bag is given a contemporary kick with hot pink hems. 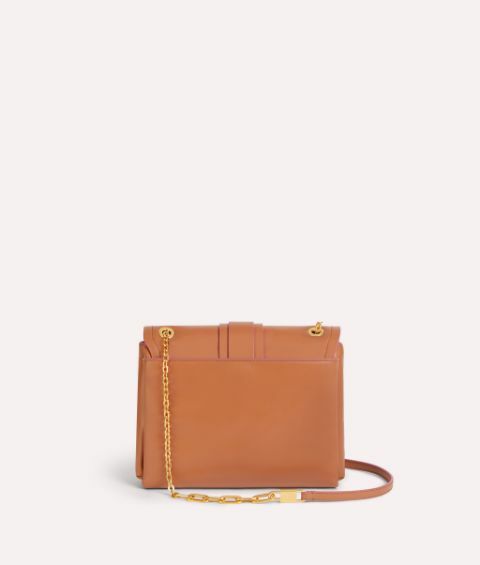 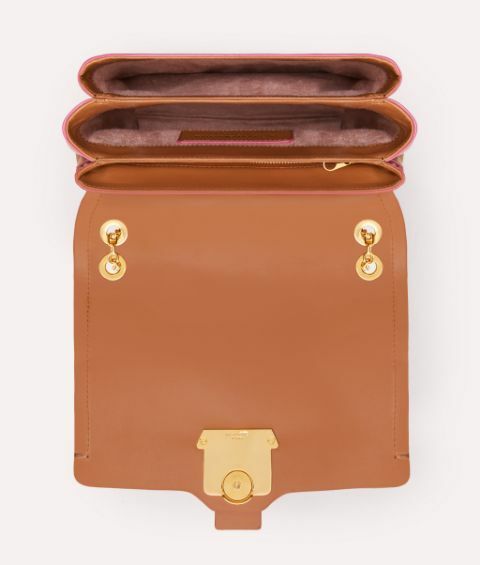 Carefully crafted in Italy, the pecan brown front flap combines with side gussets, while the iconic Paula Cademartori buckle punctuates butter soft calf leather. 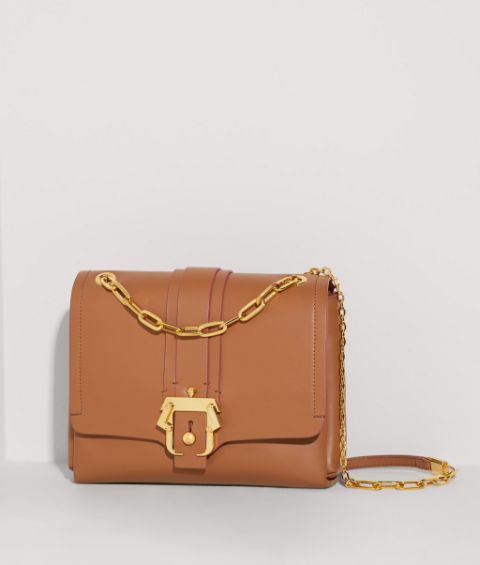 Gleaming gold tone hardware adds an opulent touch, enriched with two different styles of chain and a logo stamped padlock detail.